Earlier this year Lucinda Williams re-released her self-titled 1988 album. It’s a great work. But listening back after all this time, what’s striking is the pace of so many of the songs. They can really rattle along. The contrast with West – released in 2007 – is stark. By this point, the tempo was slower, much slower. It suited her deepening voice and her ever more world-weary themes. It’s a great work too. But it’s very different. Some seven years further on and, surprisingly enough, the pace has picked up once again. ‘Protection’ and ‘Burning Bridges’ strut confidently along. ‘Walk On’ scarcely keeps one foot on the ground. And ‘Foolishness’ – perhaps the stand-out track – gets into an irresistibly funky groove. Across twenty tracks and 104 minutes, time never stands still. Yet this is still a recognisably intense Lucinda Williams record. The album is bookended by two gloriously slow numbers. The opener, ‘Compassion’, sets one of her father’s poems to music. Boy, that must have been some household. While the closer, ‘Magnolia’, is just about the best version of the J.J. Cale number that you could want to hear. Across the set the voice plays plenty of tricks. Even compared with her most recent outings, here she’s willing to warp and distort it to suit the song. And while now she writes much more in the first person than she did all those years ago, the mood has scarcely lightened. When she titles a song ‘Cold Day In Hell’, you know it’s not going to be a song about soccer moms and bake sales. 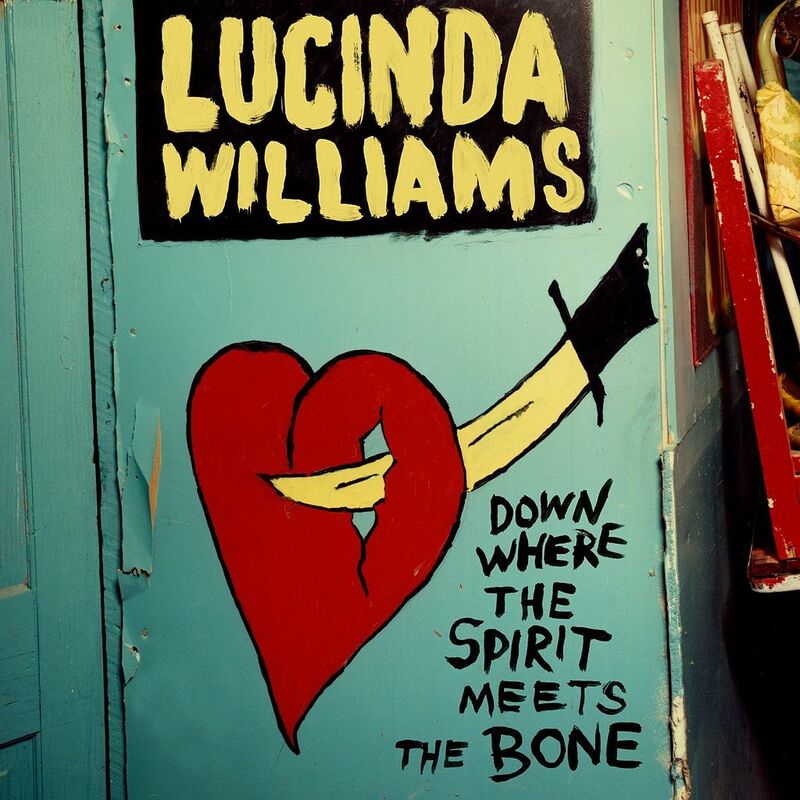 It’s clear that plenty of things have changed since Lucinda Williams released her 1988 album, but on ‘Down Where The Spirit Meets The Bone’ she seems to have regained a certain confidence. Maybe it’s a confidence that expresses itself more in song-writing than life in general. And if so, we really are the lucky ones. Posted in Lucinda Williams and tagged as Lucinda Williams, Music, Review.